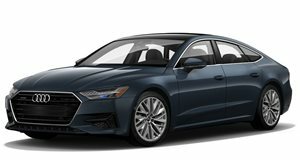 MTM gives the Audi A7 Sportback TDI some increased power with two different packages to choose from. German tuners MTM have given the Audi 7 Sportback TDI a little power boost. The new changes stem from under the hood, where the standard factory built A7 generates power from a 3.0-liter V6 turbocharged diesel engine that produces an output of 245hp and 369 lb-ft of torque. MTM now offers two options for buyers. The first increases output to 285hp and 428 lb-ft while the second churns out 300hp and 443 lb-ft. Regardless of which option you choose, the top speed is fixed at 163 mph. Both packages are priced at €1,392 Euro or around $1,974 including fitting. Have even more cash to spare? MTM also offers a sports exhaust system with quad tail pipes and 20-inch Bimoto alloy wheels. Pricing for that package is €2,600 Euro or roughly $3,688. MTM is also working on a new sports suspension for the car as well.